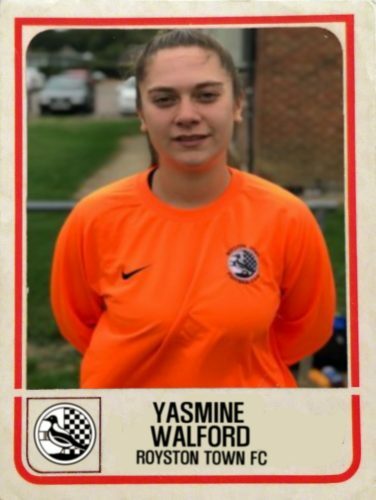 This week the Player Profile focus falls on our Ladies Goalkeeper Yasmine Walford. Read on to discover which Keeper inspired her to pursue her goalkeeping career and which player she has learnt the most from playing with. 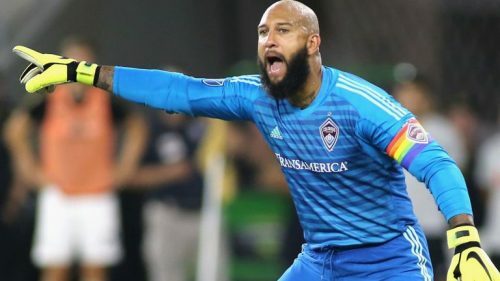 Favourite player when growing up: Tim Howard because when I was watching the 2010 World Cup he stood out to me. I played in goal for both my Saturday and school football team and he made want to pursue my goalkeeping further! Favourite Away Ground: Highbury Stadium home of Fleetwood Town – I played there for my college in an English Schools semi-final; this was one of the first competitions we entered as a team so it’s close to my heart. Most memorable moment in football: Winning the league with Garston Ladies last season as it was the best high I could have left on. Biggest disappointment in football: When I severely sprained my fingers in a pre-season match. I was out for the beginning of the season after having only just moved to Royston Town. Best player you’ve played with: Amber Tullet of MK Dons; we played together at college and I learnt a lot from her when we were training together. She always showed up with the right attitude and was a big team player. It’s great to see her come back recently after a major operation. Best player you’ve played against: As a Goalkeeper there isn’t really an individual player that I would name. However, for me each of the forward players in the opposing teams that I have come up against have presented their own challenges. Best thing about Royston Town FC: The Team! Since my first training session I’ve felt welcomed and part of the group!